Below you can view all the homes for sale in the First Nevada subdivision located in Las Vegas Nevada. Listings in First Nevada are updated daily from data we receive from the Las Vegas multiple listing service. To learn more about any of these homes or to receive custom notifications when a new property is listed for sale in First Nevada, give us a call at 702-323-5933. 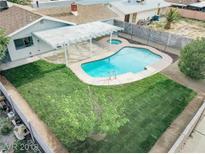 Huge beautiful backyard, covered patio, gated dog run, & a POOL w/ HOT TUB! NO BACK NEIGHBORS! 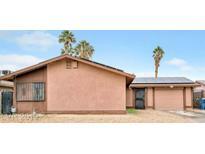 MLS#2087218. Galindo Group Real Estate. Nice single story home with large backyard* No HOA* Nice spacious living room & kitchen nook* New interior paint* New neutral color carpet* Tile & wood-like flooring* Ceiling fans in all bedrooms*Master bedroom with mirrored doors* Kitchen with granite counters & white appliance package* Huge backyard. 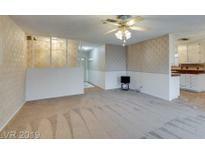 MLS#2066878. Realty Expertise. 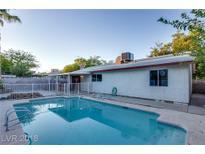 This home is close to everything and has no HOA! Great place to call home! MLS#2051642. Bottega Real Estate. Upgraded features include fresh interior paint, new carpet in select rooms, and a new electric cooking range. MLS#2042663. Opendoor Brokerage LLC. *freshly Painted Creates Clean/Spacious Feeling*brand New Warm Color Carpet Thru-out*so Much Space W/1 Living Rm & 2 Family Rms*1 Family Rm W/Wdbrn Fireplace & Sliders To Outside*bonus 2nd Room*kitchen W/Breakfast Bar For Easy Dining/Entertaining*master Bdrm Retreat*master Bath W/Jetted Tub, Sep Shower, Double Sinks*great Backyard W/Pool That Will Be Filled And Operational By Coe*pool Has Been Replastered**lease Buyout-30 Day Move-in MLS#1969602. Turn Key Property Solutions.